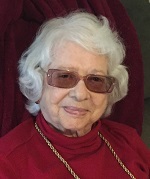 Lotte Rosenbaum, 96, of Ann Arbor, Michigan, died on 01 April 2019.
on Tuesday, 02 April 2019 at 10:00 AM . Cantor Regina Hayut officiated. Interment at Arborcrest Memorial Park.